With summer in full force, it is the prime time for a swarm of Africanized honey bees, and it is critical to avoid a hive of this aggressive bee type. Preventative care against Africanized bees in the season for these little buzzers helps you prevent an incident from occurring in your home. The aggression of these bees makes them dangerous having them around your house and your family. Take the right steps to avoid a tragic incident from occurring this summer. While they may look like their honey brothers and sisters, this aggressive type of bee is a science experiment gone wrong. They will sting and with more intensity than others, so it is critical to stay alert and aware of any buzzing around your home. Since Africanized bee hives occur in unique areas, you should keep your eye on empty locations around your home. Having this information will help you avoid infrastructure damage from Africanized bees. They will form a hive as long as there is a small hole or opening for them to get into, so you should keep an eye out for any buzzing in bare areas. You should never be brave and take on a hive with your own hands. They don’t call them killer bees for no reason, and it could be a devastating incident if you want to go take the hive out. It is not worth you getting stung more than a typical bee attack. Leave the colony alone just as preventative care against Africanized bees. If you don’t know if the buzzing near your home is from little honey bees or aggressive Africanized, you can reach out to a local beekeeper to help identify if you have a threat to your home. They will help you resolve your mystery and if your home has a hazard of Africanized beehive. 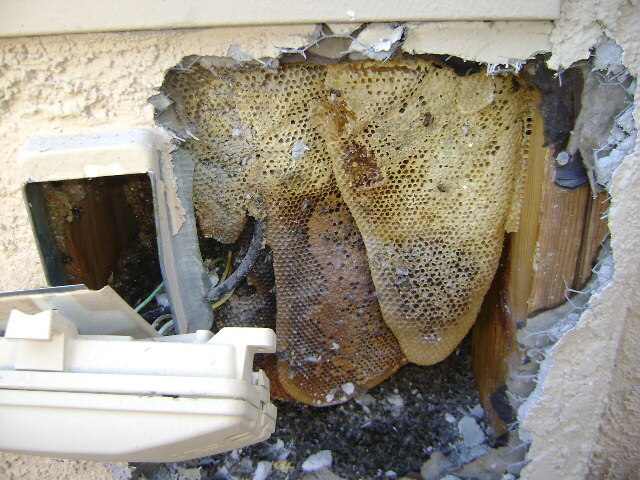 The bee removal in Las Vegas by Bee Masters gives you peace-of-mind knowing your home is going to have a complete termination of an Africanized beehive. We protect the bees while removing them as a threat to your family. Contact us today to see how we can help eliminate any bee threats!